I’m a big fan of Thai food and all the flavorful sauces, but I often forget how easy it is to make at home. 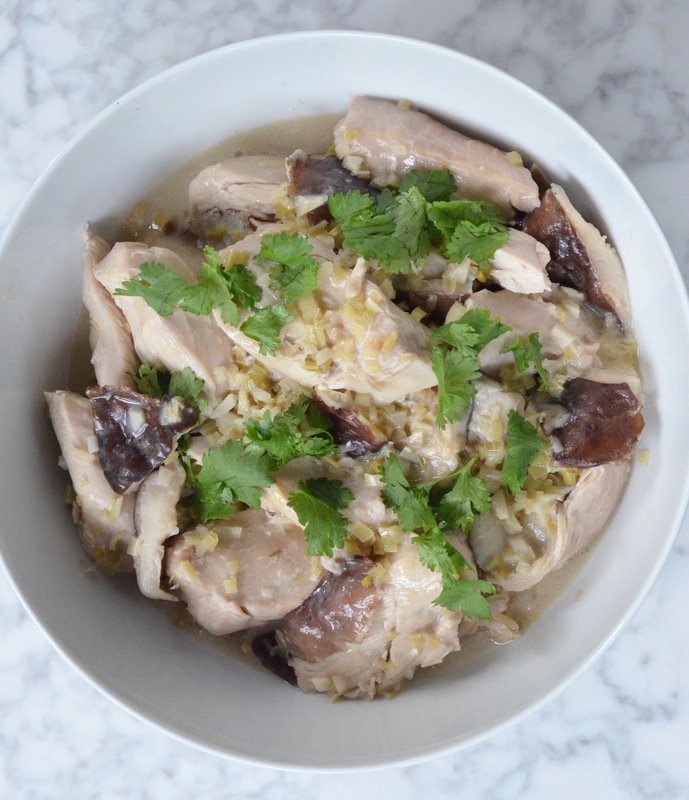 So when I recently came across a Thai chicken dish in Rachael Ray Magazine (from the new cookbook Dinner: Changing the Game by Melissa Clark), I felt inspired to give it a shot. 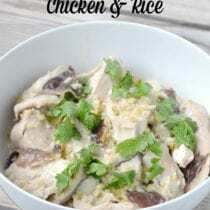 I made a few tweaks to suit our family and am excited to share the outcome of this Easy Thai Chicken and Rice recipe with you below! This recipe does call for lemongrass, which can sound intimidating, but it’s not as hard to pull off as it sounds. Lemongrass is sold in the produce section and we’ve found it at most mainstream stores. You simply trim it, remove the outer layer, and chop it up fine like you would for garlic or ginger. It adds a lot of flavor, so I would not recommend skipping it in this dish – enjoy! In a large sauté pan (with sides and a lid), whisk together the coconut milk, fish sauce, lime juice, lemongrass, and garlic. Bring to a boil. Add the chicken and the mushrooms to the pan and simmer on low for 5 minutes. Flip over the pieces of chicken, cover the pan, and cook for 5 or 6 minutes more until the chicken is done (no longer pink) all the way through. 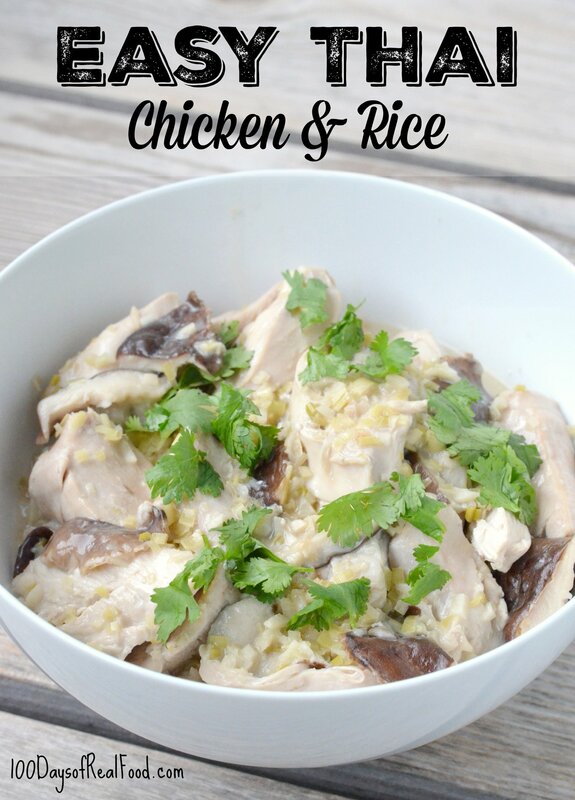 Pour the chicken mixture over the cooked rice, garnish with fresh cilantro, and serve with a side of green veggies. I’ve been looking for a good fish sauce. Thanks for the source! Any ideas for subbing out the chicken? We’re not huge fans of tofu. Veggies or a certain seafood (wait, shrimp might be good! ), you would recommend?